Crossed between a Newfoundland and a Poodle, the Newfypoo is categorized as a healthy, giant dog. 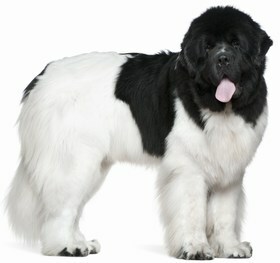 While the Newfoundland has minor health issues, the Poodle is known for having several health problems, usually related to old age. The Newfypoo could inherit any of these health problems from their parent breeds, but those problems usually set in between 5-6 years old. To keep your pup alive and well, plan regular vet check-ups. This will allow you to keep up-to-date on the overall health of your Newfypoo. Because of their size, the Newfypoo is subject to some knee problems, such as dysplasia. Most of these knee problems involve the deterioration of cartilage, making the bones rub together. This can cause a whole new level of challenges, like arthritis, which could result in your pup being unable to walk properly. Most of these knee problems are also very painful. If your Newfypoo develops a limp or acts sensitive when you touch their legs, take him to the vet immediately. Surgical options are available to correct common knee issues. This condition is caused by an imbalance of thyroid hormones. The symptoms are much like that of a human with hypothyroidism. And it can be exacerbated by a poor diet and inactivity. Some of the symptoms to watch out for include lethargy, disorientation, severe weight gain, constant hunger, hair loss, and skin allergies. A vet check-up and blood tests are necessary to diagnose this condition. Prescription medication can restore hormone balances and reduce symptoms. Other health issues that your Newfypoo could inherit include kidney problems, congenital heart defects, skin allergies, cataracts, and epilepsy. Despite the list of could-be health concerns, the Newfypoo has an average lifespan of 8-12 years. Newfoundlands are considered some of the best family dogs of all time, but the Poodle can be a bit timid. Your Newfypoo will have a combination of these temperaments. Mostly, though, your pup will be friendly, sweet, social, playful, and delighted. He is intelligent, laid back, and gentle, especially with kids who he’s grown up with. He can be wary of strangers, but that’s a good thing. He won’t bite, but he will sound a threatening bark if he feels intimidated. Introduce him to new people the way you would introduce a friend to another friend. This will help him get better acquainted with new people. However, he is an excellent guard dog. The Newfypoo has great hearing and a keen sense of sight and smell, so you will know if there is something amiss in your home immediately. Sensitive and sweet, the Newfypoo, despite his size, is a big baby. He wants to be cuddled and played with all of the time. If left alone for too long, he suffers from separation anxiety. This causes your Newfypoo to become destructive, and he will chew on things to comfort himself. Your Newfypoo is a bright pup that quickly grasps commands and new instructions. It takes very few repetitions to get a Newfypoo to comply, so be ready with treats to reward his quick comprehension and good behavior. For exercise, take your Newfypoo on regular walks at least twice a day. You should also invest in some big toys, like play ropes or Kongs, to keep his mind occupied. 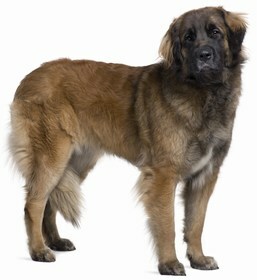 The Newfypoo is thought to be a hypoallergenic dog, but you should check with a vet visit before making the investment. 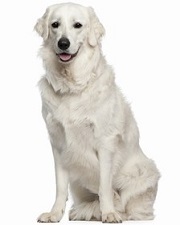 He is low-shedding, but he can have the lengthy, shaggy hair of a Newfoundland. This means you should brush him 1-2 times a day to keep mats and tangles to a minimum. Trim the hair around his eyes and his mouth. Or, if you’re uncomfortable with trimming, take him to a professional groomer once a month for a bath, dry, brush, and trim. To prevent ear infections, wipe the outer edges with a swab at least once a week. Brush his pearly whites three times a week to keep his teeth strong and healthy. It is important that you invest in a good, high-quality dry kibble for your Newfypoo. The preservatives, fillers, and by-products in off-brands could cause a skin allergy breakout. Plus, that stuff is simply bad for his health. Feed him 5 cups of dry food a day, but split it into two meals to keep him satisfied and energized throughout the day. Treats should be rewards and indulgences. The Newfypoo could easily overeat, so a routine schedule is essential to his overall health and weight management. Keep bite-sized treats to a maximum of two per day. The Newfypoo has only been around for the last three decades, so they are considered relatively new in the breeder world. However, if you are lucky enough to track one down, the puppies cost anywhere from $800 to $1,600. 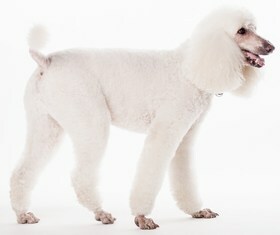 This all depends on color, hair texture, gender, and the specifications of the breeder. It is very rare to find a Newfypoo in a shelter, but you can check, just in case. If you do happen to find one, based on the adoption fees for big dogs, you might pay between $250-$400. You should also consider the investment as a whole because there are still vaccines, food, toys, vet visits, and flea protection once you get your pup home. Ranking takes into account a few basic factors including cost, skill level needed, high vs low maintenance and how critical regular training is to success. The Newfypoo ranks a 2.5. They require lots of upkeep, personal investment, patience, and time. You have to put effort and love into keeping your Newfypoo happy and healthy, which can be a drain on your emotional and physical state. However, if you feel determined, persistent, and consistent, you could transform this sometimes-hesitant, sensitive, sweet pup into a fantastic family pet.